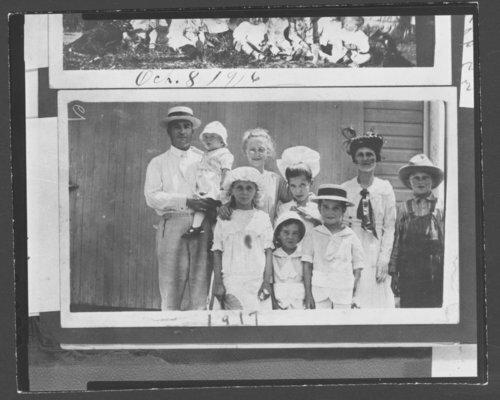 This black and white photograph shows members of the Rogler family at an unidentified location. The back row has been identified as: Uncle Marion Ford, Henry K., Helen R., Tinla F., Aunt Mathe, Wayne. Front row: Irene, Frank F., and Kenneth F.